A thriving masterplanned community with premium Surf Coast land for sale. 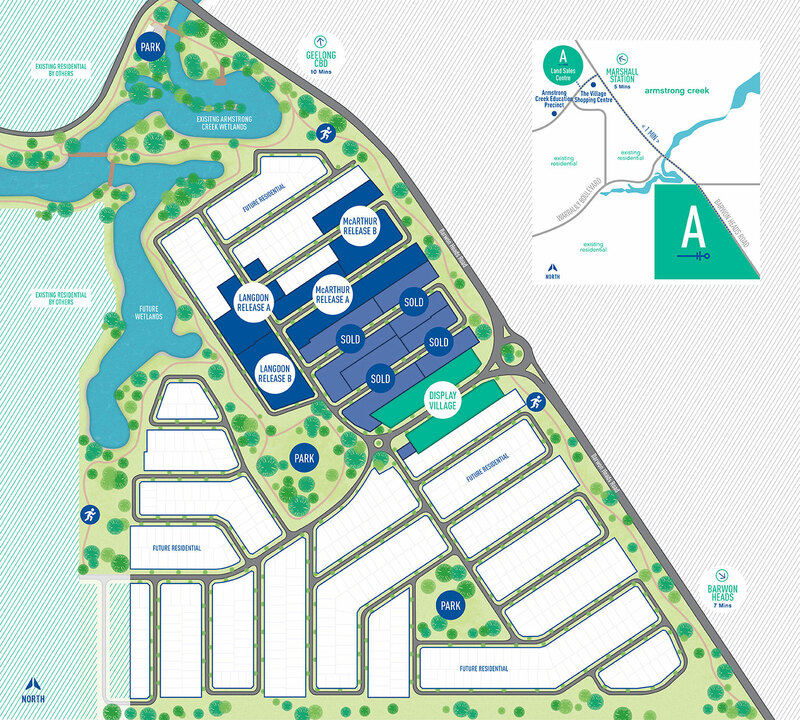 Nestled on the edge of the urban growth boundary, Anchoridge is a premium master planned community set in the surrounds of the naturally beautiful Armstrong Creek wetlands. Complemented by an abundance of landscaped parklands and open spaces, with bicycle and pedestrian paths woven throughout, this new and innovative community truly embraces active lifestyles. Walking tracks, glistening waterways and convenient positioning make living at Anchoridge a dream. The developers of Anchoridge designed the well-appointed community with comfort, convenience and active lifestyles of it’s residents in mind. With an abundance of parks, walking tracks and the sprawling Armstrong Creek Wetlands all within walking distance, you’ll have everything you need right on your doorstep. A picturesque and thriving community with land for sale in the Surf Coast. With tree-lined streets and beautiful parklands, be surrounded by nature’s gifts and beauty at Anchoridge. With a focus on quality-built form and well considered landscape design, Anchoridge offers Surf Coast land that sets new standards in modern living for growing families. Enjoy the abundance of riches Victoria’s Surf Coast has to offer. The Surf Coast offers one of the most picturesque scenic roads in the entire world. Starting in nearby Torquay, the Great Ocean Road spans 244 kilometers and possesses some of the most breathtaking views imaginable as well as popular coastal towns including Anglesea, Lorne, Wye River and Apollo Bay. No matter the season, it’s never a bad time for a day trip. Accessibility and Amenity are two words that best describe Anchoridge. The position of Anchoridge in Armstrong Creek is such that it is only moments from already established amenity as well as future amenities that are still to come. Accessibility to Geelong, the Bellarine Peninsula, Torquay and the Surf Coast as well as Melbourne via the ring road place Anchoridge in the very heart of the greater Geelong region.